As coffee fiends, we’ve been excited to see coffee and cold brew-infused ciders become a sub-category of modern ciders. 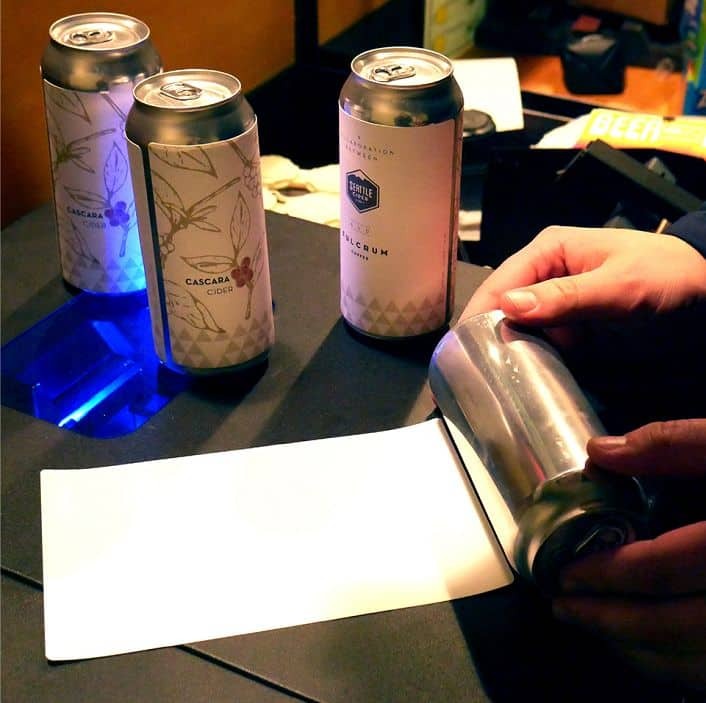 Wondering where else this trend can go, our interest was piqued when we saw an Instagram post from Seattle Cider Co. promoting a Cascara Cider made in collaboration with Fulcrum Coffee. Cascara is basically the discarded skins of coffee cherries that are leftovers from the coffee de-pulping process that happens in production. Cascara tea, which is still on the upswing as far as buzz-worthy beverages go, is a highly caffeinated, antioxidant-rich tea. Sure, it’s starting to pop up in third-wave cafes, and in bottled form in specialty markets, but it has yet to go mainstream. We reached out to Seattle Cider Co. to find out more about this cider and how it came to fruition. Seattle Cider Co.’s head cider maker, Scott Katsma, explains that Fulcrum Coffee’s roasting facility is located in the same business park in Seattle as the cidery. Its roaster, Blas Alfaro, has been a friend of the company for years, and they’ve collaborated before on Seattle’s Cold Brew Cider (available on draft only). Alfaro was able to get Katsma about two pounds of the dried cascara, which he says looks like a combination between a raisin and a flaky cocao nib, with a soft-yet-crunchy texture, figgy aroma and a rich, earthy sweetness. He co-fermented the cascara with Washington apples in the tank for about two weeks, and then the team canned it for Seattle Coffee Week, which took place in April. The first batch only made about three cases of cans, so there’s no more left currently, but Katsma assures us that he’s working on more. He says that in about a month they’ll hopefully have a lot more, which should be available in the greater Seattle area. For the rest of us not residing in the Pacific Northwest, he hints that, eventually, Seattle Cider Co.’s Cascara Cider may be sent to other markets. We can only hope! Seattle Cider Co. is located at 4700 Ohio Ave S. in Seattle, Washington; phone: (206) 762-0490.